Numerous objects (devices) connected to the Internet send data through the SigFox network to a SigFox base station (gateway). The base station then detects, demodulates, and reports the messages to the SigFox cloud across 3 channels, at least every 10 minutes. The SigFox cloud then pushes these messages to many customer servers and IoT platforms based on the client’s application. 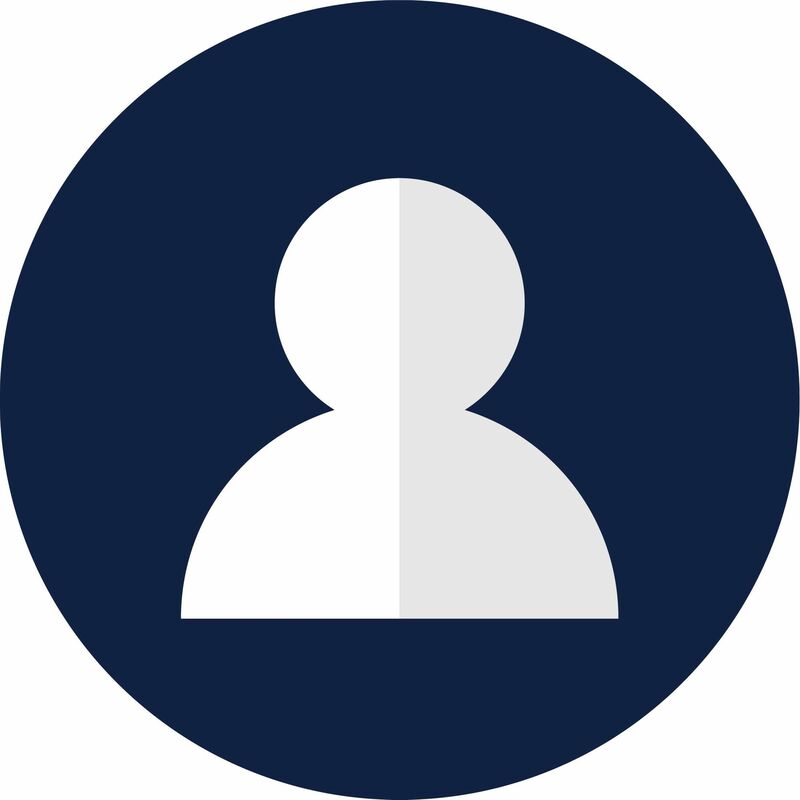 Technically, the SigFox network differs from other LPWAN networks in the methods it sends data and the electrical guidelines that govern the quantity, speed, and duration of the data being sent. SigFox is most used for low-power applications that only require sending small amounts of data, infrequently, over large distances. Perfect for Agro environments and asset management across vast distances. DPSK is a method used by base stations (gateways) to convert a signal, debug it, and forward to the cloud for processing. SigFox data transmission can be better understood as follows: Objects (devices) are connected to the internet using the SigFox network. The object can be a temperature, humidly, and/or saturation (etc.) 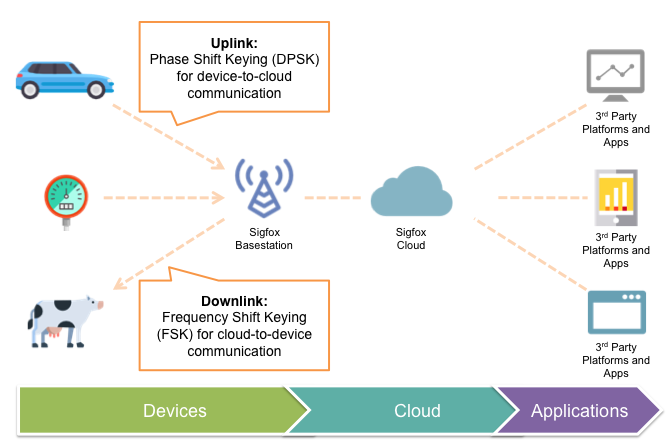 sensors located within 1,000 meters of a base station (gateway).Sigfox uses Phase Shift Keying (DPSK) for device-to-cloud communication, or “uplink”, and Frequency Shift Keying (FSK) for cloud-to-device communication, or “downlink”. The more a signal at the base station becomes phase shifted, the more exposed its impairments become. Analogously, the more frequent an injured person visits the hospital, the more X-rays the doctors take to better understand and correct the injury. When a signal is “injured” from the environment, the injury is not noticeable until the signal is phase-shifted and run through the “X-ray” circuitry which analyzes these phase shifts, discovers where the impairments exist, and subsequently “cleans” the data for transmission. In summary, the base station hardware shifts the phase in order to take an “X-ray” of the data to diagnose what interference/impairments exist and how it is to be corrected. Following the phase, the hardware circuitry converts the original signal back to its basis sequence, but without the impairments. When the cloud receives an uplink signal from the base station, it will respond with a downlink signal to the device. Downlink signals use Frequency Shift Keying. What is Frequency Shift Keying? 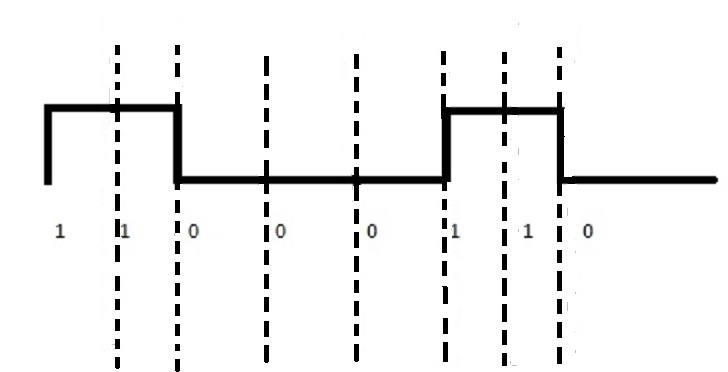 Frequency Shift Keying (FSK) is similar to Differential Phase Shift Keying (DPSK) in the sense that both processes convert the input signal, analyze/discover impairments, eliminate them, and convert the data back to the original signal. 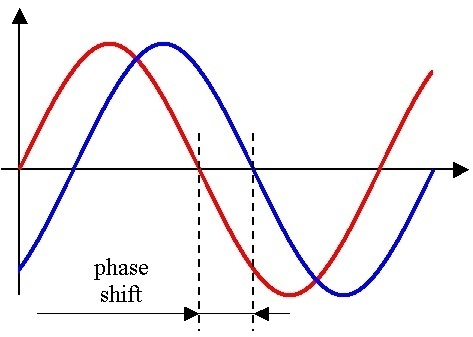 However, instead of shifting and analyzing the phase, FSK shifts and analyzes the frequency. Just like phase shifts in DPSK, the frequency shifts in FSK expose the signal’s impairments where sophisticated circuitry can debug them. The outstanding question now becomes, why does SigFox use DPSK for uplink transmission and FSK for downlink? DPSK is more bandwidth efficient than FSK so it has fewer frequencies and channels available to transmit the signal. Higher sensitivity = more achievable range. ie. data from sensor devices can be detected from farther away. The technology used by SIGFOX contributes a long-range, low-power, low throughput communications network with excellent protection from environmental interference allowing data to reach many applications effectively. SIGFOX is still in the “early adopter stage” for connectivity solutions; however, there are already many millions of connected devices around the world with Sigfox technology proving it has the potential to provide a cost-effective solution in a variety of markets and industries. For more of connectivity options in the IoT world, check out some thoughts on LoRaWAN or reference this great piece on popular wireless protocols around the world.